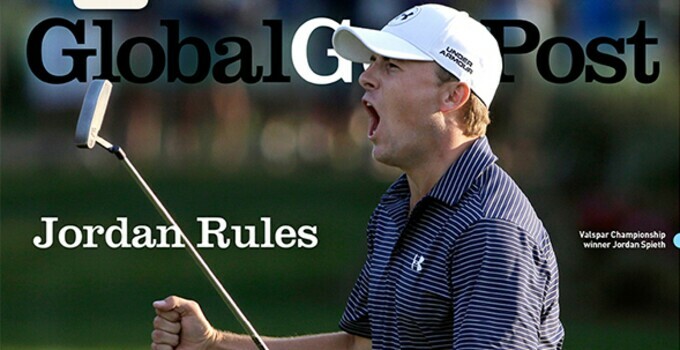 Inside this week’s issue of Global Golf Post, the hugely talented Jordan Spieth reminded us why everything’s bigger in Texas, capturing his second Tour title at Innisbrook’s Copperhead Course in a stirring playoff. It’s safe to say the 21-year-old will be a fixture on golf’s biggest stage for years to come. Tiger Woods won’t be playing in this week’s Arnold Palmer Invitational, perhaps fearing his short game would leave him looking like a jester in the King’s court. Oh, and speaking of Arnold Palmer … he pulled in a cool $42 million last year through endorsement and licensing deals. In 50 years on Tour, Palmer’s total on-course earnings were just under $7 million. Also in the issue, BCG takes readers on a while ride with the innovative GolfBoard, a new “wave” of technology letting guests at Dubsdread Golf Course ‘Surf the Earth.’ The battery-operated, single person people mover cruises at speeds of up to 14 mph and eliminates the sedentary activity of sitting in a traditional golf cart. It’s also attracting a new generation of golfers to the historic Orlando layout. Enjoy the read!